Happy Cat Kids is a toys and gift store run by Rachel who is a mum of two. She found herself frustrated by the abundance of toys on websites when she was looking for good quality gifts and toys for her children, so she decided to set up her own shop and only stock the best quality products that her trusted assistants (her children, nieces, nephews and friends of her children) had tested and enjoyed. Kids are naturally the best product testers for toys and they’ll soon let you know if they love something or not. Now, Happy Cat Kids stocks a small, but well chosen, selection of toys that are beautiful, good quality and loved by children. The current categories are Unicorns, Wooden Toys & Games, Soft Toys, Bags, Imaginative Plan and Food & Drink Gifts. 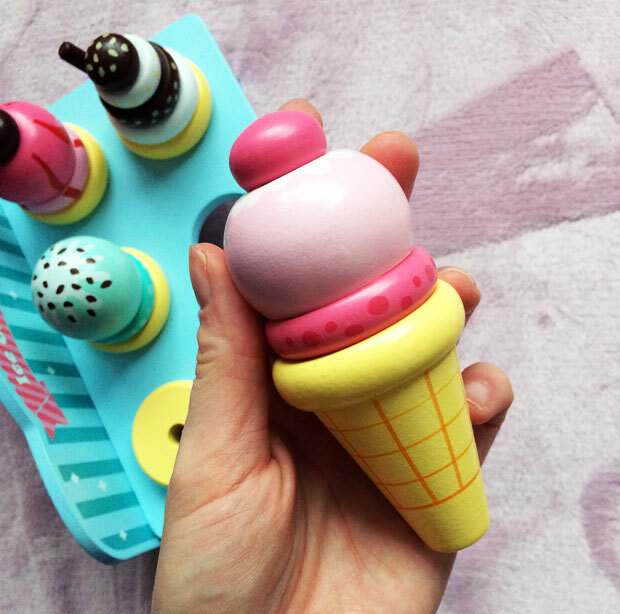 We have a new toy from Happy Cat Kids and it’s the stunning Jumini Ice Cream Parlour (£29.99). 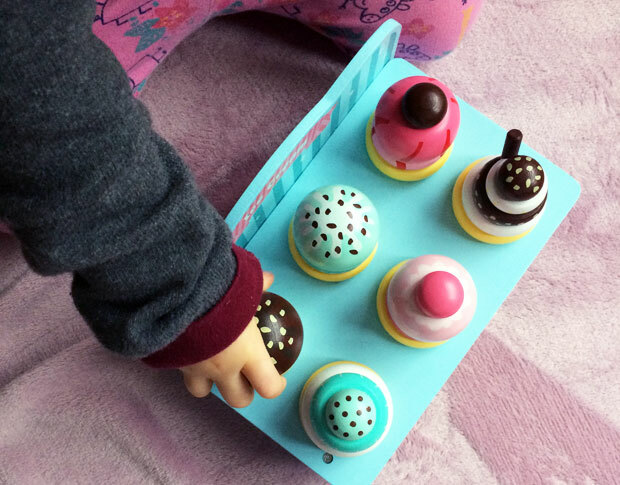 I’m a huge fan of wooden toys and especially wooden food toys and my daughters luckily share my passion. 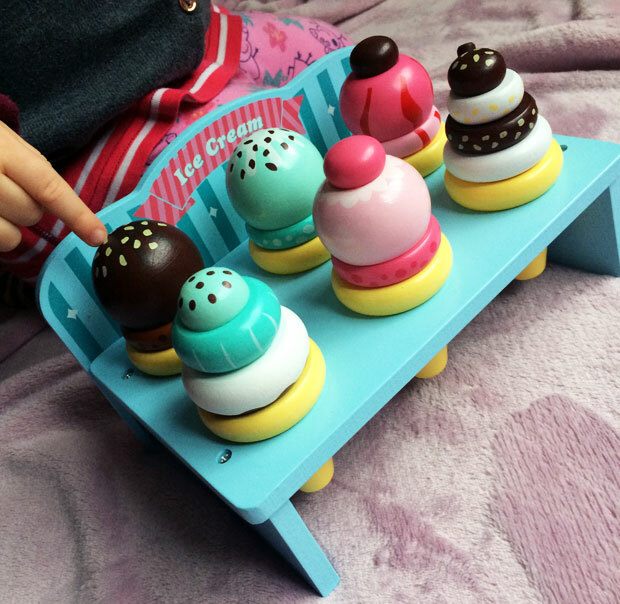 They are very fond of their wooden food toys and particularly the ones that are sweet treats themed so this ice cream set is perfect for them. 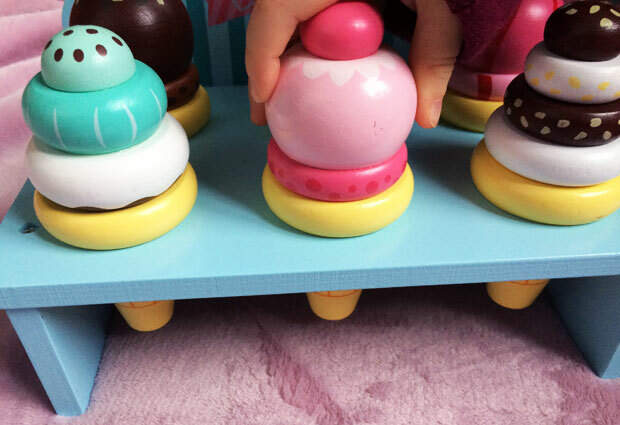 This adorable wooden ice cream parlour features six ice cream cones in a cute cone stand — I love it when toys come with storage/display options! Each ice cream is different from the others and the tops all come off the cones too. 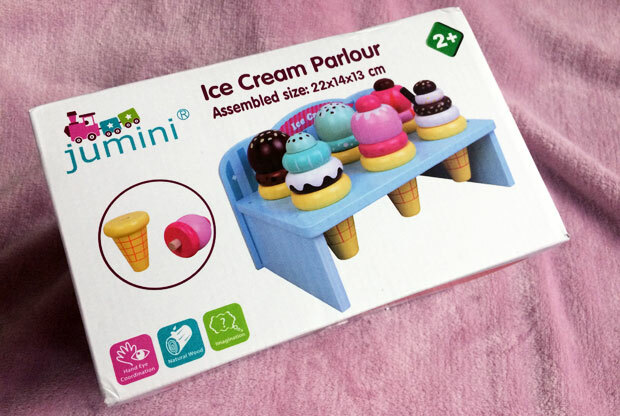 The ice cream parlour is beautifully painted and made from good quality wood. The ice creams themselves are a great size and I love that there are plenty of them, making it easy for my daughters to share nicely. It’s a great toy for imaginative play and makes a great addition to our wooden food toys. Definitely check out Happy Cat Kids if you’re looking for some nice toy gift ideas for children. This product was sent to us for this review. As always, all my reviews are 100% honest and all thoughts and opinions are my own.